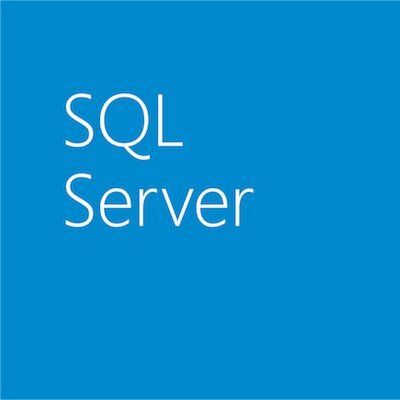 SQL Server 2012 is Generally Available! Microsoft is excited to announce the general availability (GA) of SQL Server 2012 for purchase and download. SQL Server 2012 has already been deployed for production use by hundreds of global, industry-leading customers, such as Volvo Car Corp., Revlon, the HSN, Klout and LG Chemical. SQL Server AlwaysOn, a new high availability solution delivering increased application availability, lower TCO and ease of use. xVelocity, in-memory technologies significantly boost data warehouse and analytics performance by up to 100x. Power View, a web-based, highly interactive, data visualization and presentation solution designed to enable business users and decision makers to quickly discover meaningful insights from their data. Data integration and management, new and enhanced tools to deliver credible, consistent data to the right users at the right time, including new SQL Server Data Quality Services and enhanced Master Data Services. Enhanced PowerPivot functionalities enable customers to leverage new advanced analytic capabilities and further ease of use while still working within the familiar tools provided by Excel. The new Business Intelligence (BI) Semantic Model provides a single, scalable model for BI applications, from reporting and analysis to dashboards and scorecards. SQL Server Data Tools, a new tool that unifies SQL Server and cloud SQL Azure development for both professional database and application developers. Customers can download the latest version of SQL Server 2012 here. Also, for a deep dive on all things SQL Server 2012, check out the SQL Server 2012 Virtual Launch Event. All content from the Virtual Launch Event will be available until June 30, 2012. The event features 30+ webcasts from SQL Server 2012 experts in addition to a number of other multimedia features from Microsoft partners. We are also pleased to announce the release of the second Preview of our Hadoop based service for Windows Azure. We are expanding capacity of this service by up to 4x to accommodate exceptionally high demand. This preview provides an elastic Hadoop service with more reliability through disaster recovery of the Hadoop Distributed File System (HDFS) NameNode, and support for advanced analytics through Hadoop projects like Mahout. In addition, it provides actionable insights to everyone through familiar tools like Office, SharePoint and award winning BI tools like PowerPivot and Power View in SQL Server 2012. This preview also enables customers to enrich their data by connecting to data and intelligence outside their firewalls. Customers interested in signing up for the latest preview should visit http://www.hadooponazure.com.